For rally fans looking to imitate what successful Ford rally drivers Mikko Hirvonen, Jari-Matti Latlava and Ken Block have accomplished, a new Fiesta R2 rally package is the place to start. Currently available throughout Europe, Ford Racing Performance Group is bringing the competition-ready package stateside to let enthusiasts turn their five-door Fiesta into a Fiesta R2 that's ready to compete on the roads of RallyCar's Rally America National Championship. The package is now available for order through Team O'Neil Motorsports, a division of Team O'Neil Rally School in New Hampshire (info@teamoneil.com). "The spirit of One Ford is making it possible for us to bring the best of European rally racing to competitors in the U.S.," said Jamie Allison, director, Ford North America Motorsport. "The Fiesta R2 has already proven itself in Europe as a great platform for aspiring rally drivers." The winner of the 2011 U.S. Fiesta Sport Trophy Championship will also have the opportunity to compete in the R2 class during next year's Wales Rally GB. 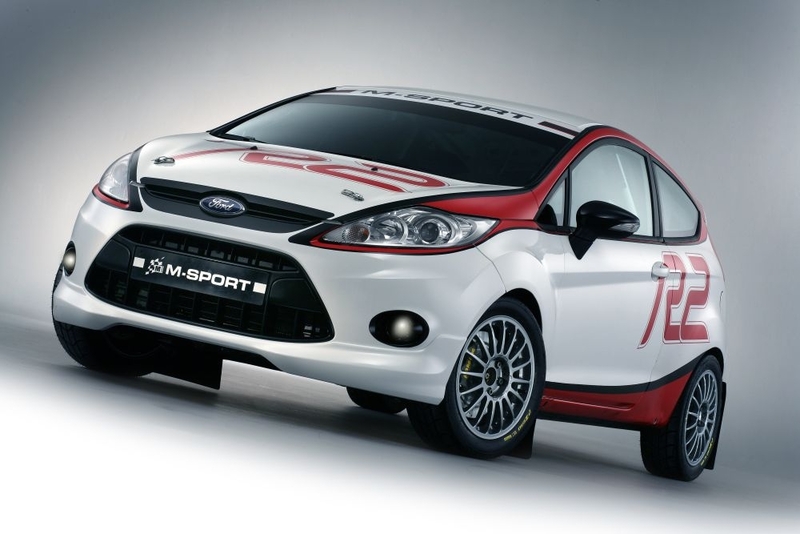 Developed by M-Sport, Ford's WRC partner since 1997, the kit will convert a production Fiesta to rally specification. Included in the package are engine parts that will increase the performance of the 1.6-liter Ti-VCT four-cylinder engine: pistons, conrods, camshafts, valve springs, injectors, airbox, air filter and a sump baffle kit. The performance enhancements deliver 168 horsepower and 134 lb.-ft. of torque, a 40 percent increase in horsepower over the production Fiesta. Team O'Neil Motorsports is the official reseller and authorized installer for the R2 kits. Only cars prepared by Team O'Neil will be eligible for the U.S. Fiesta Sport Trophy Championship. "The R2 kit provides a fantastic performance and dynamic upgrade for the already strong and light Fiesta platform, transforming it into an instantly competitive and durable rally car," said Tim O'Neil, founder and president. "We're really excited to be able to offer this to North American rally drivers." In addition to the full R2 kit, Ford Racing will also offer a Stage 1 kit based on the R2 package. The Stage 1 kit will include parts designed for the rigors of rallying, including a roll cage, ball joints, engine performance upgrades, dampers and a limited-slip differential. The package will offer competitors a lower-cost entry point to take a Fiesta rallying. Enthusiasts who add the R2 package to their Fiesta will have the ability to compete in the Fiesta Sport Trophy Championship in RallyCar's Rally America National Championship 2WD class in 2011. The winner of the Fiesta Sport Trophy Championship will be awarded a ride in the R2 class in a Fiesta at Wales Rally GB. Additionally, the winner from the class will have the opportunity to compete in the Fiesta SportTrophy International Shootout in Great Britain for a chance to win a year's residential placement at M-Sport, working with the BP Ford World Rally team. "Over the last two years, Ford Racing and the Fiesta have made a significant impact in the AWD Open class of RallyCar's Rally America, at X Games and in the debut of RallyCross," said JB Niday, managing director of RallyCar. "To see that emphasis expand into the 2WD class with an opportunity like the Fiesta Sport Trophy Championship is a tremendous indicator of the value placed on the Fiesta program and the commitment to growing Fiesta through rally by Ford." The rally kit also is the perfect way for enthusiasts to appreciate all that the Fiesta offers. "Not only are we offering rally enthusiasts a way to experience the full capabilities of Fiesta, but we're also giving them an amazing opportunity to test their skills in Europe on their way to perhaps realizing a dream of competing in the WRC," said Allison. Ford Motor Company (NYSE: F), a global automotive industry leader based in Dearborn, Mich., manufactures or distributes automobiles across six continents. With about 163,000 employees and about 70 plants worldwide, the company's automotive brands include Ford, Lincoln and Mercury, production of which has been announced by the company to be ending in the fourth quarter of 2010. The company provides financial services through Ford Motor Credit Company. 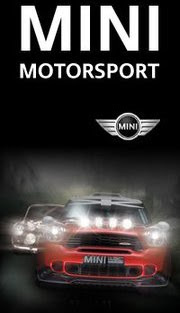 For more information regarding Ford's products, please visit www.ford.com.